Al Sharpton is hellbent on getting Meek Mill another shot at freedom, and says there’s proof he can do it because he also came through for Tupac … when he was doing hard time. 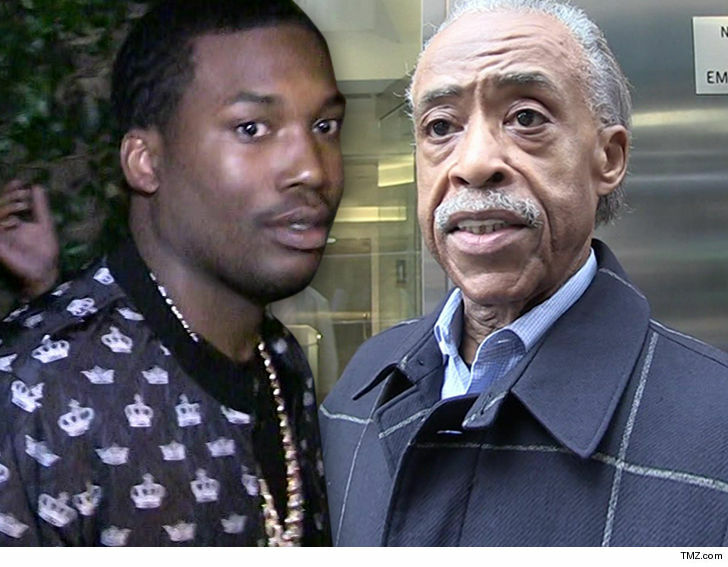 Al tells TMZ his Monday visit with Meek — and Meek’s attorney Joe Tacopina — will be just the beginning of his work on the case. Al’s hoping to get Judge Genece Brinkley replaced, and pressure Pennsylvania authorities on what he thinks is too stiff a punishment for Meek. Al says he helped negotiate with the warden at NY’s Clinton Correctional Facility in the 90s …. to get Tupac released from solitary confinement. He believes that experience will be key to helping Meek in PA. The Philly rapper had been in solitary due to his celebrity status, but as TMZ first reported … he was removed at his request. Al says job one will be making it clear to PA authorities Meek’s 2-4 year prison sentence is harsh and unjust … considering the cases behind his probation violation.